Welcome to Discount Ac Parts. 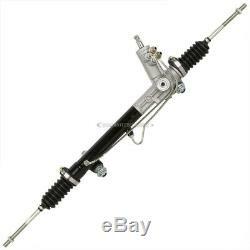 Power Steering Rack And Pinion For Ford Lincoln & Mercury Fox Body DAC. As one of the worlds largest automotive parts suppliers, our parts are trusted every day by mechanics and vehicle owners worldwide. 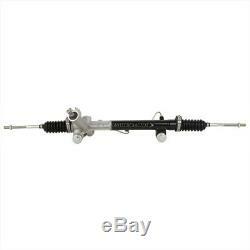 This Power Steering Rack is manufactured and tested to the strictest OE standards for unparalleled performance. Built for trouble-free ownership and 100% visually inspected and quality tested, this Power Steering Rack is backed by our 100% satisfaction guarantee. Guaranteed Exact Fit for easy installation. 100% BRAND NEW, premium ISO/TS 16949 quality - tested to meet or exceed OEM specifications. Designed for the Mustang, but will fit any Ford "Fox Body" car which originally came with a Ford design (not TRW) steering rack. Popular for use on hot rods, race cars, and other custom applications. 15:1 Ratio (approx 2.5 turns lock to lock). Mount hole spacing: 15.5 center to center. Manufactured to meet or exceed precise quality specifications. INTERCHANGES WITH THE FOLLOWING PART NUMBERS. 80-00267 AN , 18000267-101 , 18000267-102 , 18000267-103 , 18000267-104 , 18000267-105 , E5DZ3547A , E5DZ-3547A , E5SZ31L547C , E5SZ3L547C , E5ZZ3547A , E5ZZ-3547A , E5ZZ3547B , E5ZZ-3547B. 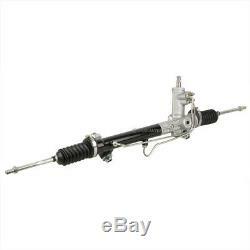 The item "Power Steering Rack And Pinion For Ford Lincoln & Mercury Fox Body DAC" is in sale since Tuesday, February 5, 2019. This item is in the category "eBay Motors\Parts & Accessories\Car & Truck Parts\Suspension & Steering\Steering Racks & Gear Boxes". 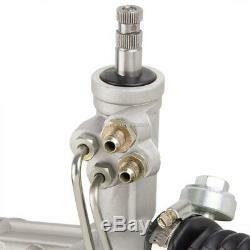 The seller is "discountacparts" and is located in Hebron, Kentucky. This item can be shipped worldwide.